Good morning readers! 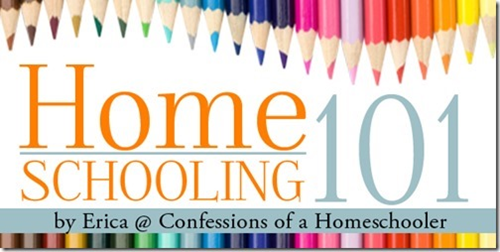 I’m back today with another Homeschooling 101 post for you, and we’re continuing on with our lesson plan discussion. Last time around we discussed Creating Lesson plans part 1. Today we’re going to discuss creating lesson plans in a little more detail. So here’s the nitty gritty of how I get started creating our lesson plans. Step 1: Add your predetermined school year, holidays, and days off into your planner. Since we already set these parameters in our previous steps, this should just be a matter of transferring the information from your calendar into the planner of your choice. I typically follow a traditional public school year, but you’re welcome to set your calendar anyway that works best for your family. Just make sure you’re planning enough school days as indicated by your state’s requirements. We typically take a 2-5 day fall break (Thanksgiving time usually), Christmas break (3 weeks in December b/c life gets crazy around then! ), and a 1 week Spring Break sometime in March. Step 2. Add in your core subjects into the planner. So let’s get started with the logistics of adding lessons and activities into your planner. Starting with one student and one core subject, open the teacher’s manual for that subject. If you haven’t done so already, quickly flip to the end to see how many total lessons there are and note that on your Curriculum Plan Overview form (Avail. in my Homeschooling 101 ebook). The teacher’s manual should also tell you how much time you can expect to spend on each lesson. Make sure to note that on the Curriculum Plan Overview as well. Open your planning software, or day planner, and enter the information for that subject into your planner. If you are using a software you can most likely create all of the lessons at once, assigning the time, days, and hours for each one as you enter it. 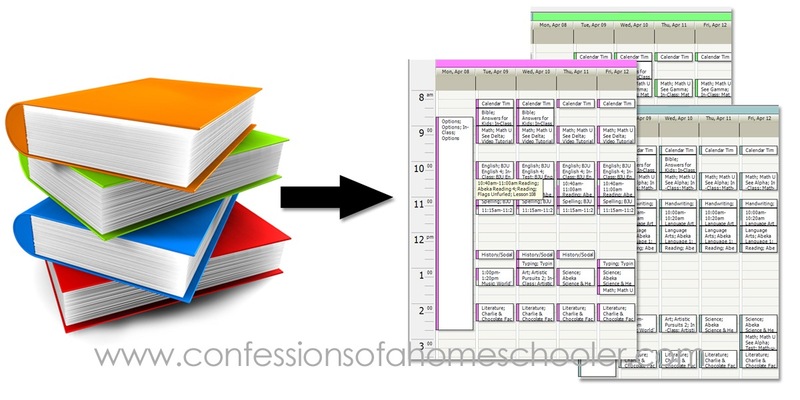 If you are using something such as the Homeschool Tracker, I recommend adding in all of the lesson plans first, then going back through and assigning them out to the students that will be completing those lessons. If you are using a day planner, handwrite the lessons into each day as indicated. For either type of planner, you will probably want to include a brief set of instructions for each lesson to help you as you go through the year. Obviously you can add as little or much information as you would like in your own plans. Continue to add in the lessons for your student one subject at a time. When finished with your oldest student, move to the next oldest, and so on until you have all of your lessons for core & elective subjects entered into your planner. 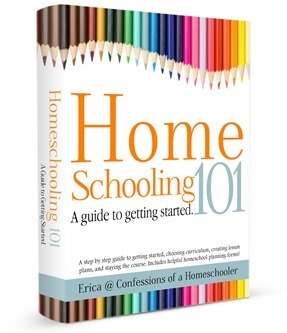 A little bit of preparation can take a lot of stress out of homeschooling. Imagine running a race without knowing where the finish line is. If you’ve taken the time to plan ahead you’ll already be familiar with what you’re doing. You know where your finish line is which makes it easier to stay on task. You know when it’s okay to take a day off here or there, and when it’s not. You won’t be unprepared for a craft or project, and you’ll actually have more time to include fun stuff into your day. Then you can relax and enjoy the year! You’ll continue with the above process going through all of the subjects for your first student. Then you’ll move on to your second student with all of their subjects, and so on. This process can take some time, but it will be well worth it once your school year starts. Planning ahead like this allows you to relax during the year, and follow your plan knowing that you’ll be able to accomplish what you set forth to do. Step 4: Check Your Plans. Once your year is planned, print out the first couple weeks to visually make sure they look okay. You’ll want to make any adjustments as needed to the plan at this time. If you’ve over scheduled something, or need to add in something now is a great time to do that as well. Step 5: Back up your plans. If you are using planning software, make sure to back up your files if possible so that all of your hard work isn’t accidentally erased. If you are using an online program, find out what their policy is and if it is possible I highly recommend downloading a backup copy of your lesson plans. It’s devastating to lose a whole year of lesson plans because your computer crashes and you forgot to back it up. And yes, I’m speaking from experience! Step 6: Put your plans into action! Since homeschooling is a fluid beast, I don’t recommend printing the entire year of lessons out all at once. Instead print one to two weeks of your lessons just to get you started. That way if you need to adjust times, curriculum, or tasks you can do so without having to waste a bunch of printed, and now inaccurate, lesson plans. I typically print out my plans only one week at a time. I print them at the end of the week, for us that is usually Friday afternoon, so they’re ready for the upcoming week. With 4 kids, how much time does this process take you? Thanks for these details. What software are you using to make your lesson plans? Could you share the template? Right now I’m using http://www.homeschooltracker.com. They’re “Okay” but not my favorite. There are many things I don’t love about it, including the report you see here. I actually manipulated the data just to get a report that I could use for our family. Since becomming a wife and then six years later a momma I have learned that organization is key in my day to day. When time came to add in book work with our schooling it seemed a bit daunting, but we were ready for the challange. Once we got into the swing of things it was a matter of making sure to not over do any aspect in particular. To make time to check out the plays in our area put on for kids, make yearly visits to the Police and Fire departments so our children know the people in those uniforms are there to help us, and so on. Being sure to practice moderation in our homeschool both books and field trips took time and we are still adjusting that part of our rutine. *smile* Thank you for making the time to post your details on planning and rutines including field trips and the like. Sincerely, Mommy of two growing blessings & so much more! Even as a veteran homeschool mom, this method of planning everything out in such detail seems completely overwhelming to me. I only have 1 child left that I am homeschooling and although I make sure I have overall goals for the year and check in on those, our daily life is not planned out to the detail. I’m glad you have been able to organize things in this way, but I wanted to reach out to others who are overwhelmed and tell them that they don’t have to plan everything in detail if it is not their personality. It IS possible to have a successful homeschool year without having everything written out in detail. I hope you don’t take this the wrong way because I know it is not your intention to discourage anyone, but I thought this should be mentioned. Keep up the good work! You are amazing! You’re simply awesome 😉 So glad you’ve decided to listen God. are any of the lesson plans, curriculum you have used over the years FREE? I am a single mother opting to homeschool and would be nice at first to have the basic lesson plan templates and curriculum that won’t cost me $20 per subject for each year of a grade.